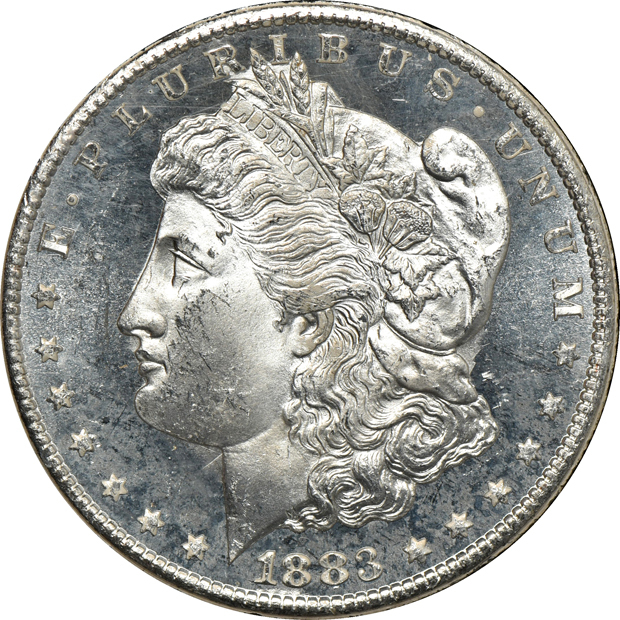 Description: In the old ANACS days, for some dates within the Morgan dollar series, the very first handful of dollars to leave fresh dies might qualify for what was then called "UDM", or "ultra deep mirror prooflike". Such pieces would essentially show no cartwheel luster at all, implying the highest possible degree of reflectivity, and that is vritually the case for this stupendous 1883-CC. Practically no luster at all emanates from the blast white fields, and as an extremely early strike, the details fall right on the razor-thin cusp of being fully struck. 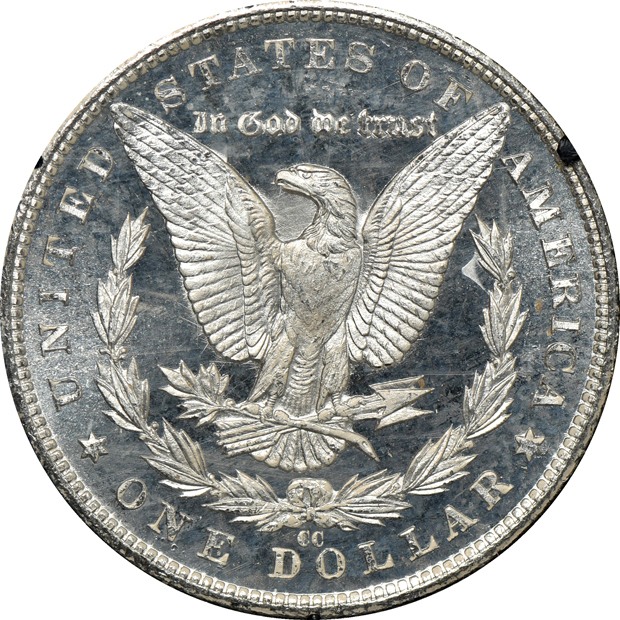 Indeed, the reverse seems to be fully so defined, including perfectly delineated talons, and fully outlined and defined leaves. A die clash is noted.